2009 V50 Equipped with ABS brakes. This Volvo SPORT V50 is all about family when they're in it, and about you when they're not. This car has 6 airbags fitted for your protection. It has cruise control, driver passenger airbags, 17 alloy wheels and brake assist. DVD, Leather Interior Only travelled 133889 km. THIS CAR WAS FEATURED IN PUBERTY BLUES MOVIE.EXCELLENT CONDITION. AS NEW. IT IS RARE TO BE THIS CLEAN.LONG REGO. SPOTLESS PAINTWORK. NO VISIBLE RUST.INSPECTION WELCOME BEFORE BID. NO SWAP OF CARS, SALE ONLY. THIS CAR WAS FEATURED IN PUBERTY BLUES MOVIE.EXCELLENT CONDITION. AS NEW. IT IS RARE TO BE THIS CLEAN. Up for sale is my pride and joy it will be sad to see this go. Datsun 200B fitted with a fully built SR20DET this car has had a huge amount of dollars spent to get it to its current state. The body is not a show car but its fairly straight and is a low 170, 000 body with minimal rust. ported Ross racing Forged pistons Rods cleaned crack tested Crank acid dipped, machined, crack tested full ARP stud kit Full ACL Race series gasket kit Full ACL race series bearings rocker stoppers new oil pump new full timing kit new lifters chrome molly flywheel Heavy Duty Clutch Stainless low mount manifold heat wrapped new Slide Industries t28 disco potato turbo new braided oil/water lines stainless dump pipe all new Silicone hoses new thermo fan new drift catch can new power steering reservoir s14 power steering pump new power steering lines new alloy pulleys alloy oil cap all alloy inter cooler pipes turbosmart bov boost tee s14 5speed gearbox new R31 engine rubber mounts Gates Racing belts new fuel lines and filters full 3&apos; exhaust Under bonnet / boot / interior all new custom hard brake lines hidden hidden washer lines new maddat brake booster master cylinder new maddat clutch master cylinder custom alloy washer bottle/ wiring cover custom orange pearl 2 pack paint removed battery tray lots of holes filled/welded removed new big battery in boot new +/- Battery terminals battery kill switch custom 1. 2005 Mini Cooper Hatchback 2005 Mini Cooper Hatchback. A very cute and unique car! Heads will turn when you drive around in this amazing car! 96, 000 km on the clock only. This MINI Cooper Hatch belongs to smoke-free owner. My car is in very good condition and well maintained. Perfect first car. 5 speed manual transmission. 2005 Porsche Cayenne, Automatic Standard vehicle, with 2 keys, log books. Extras include: * Tow bar - $2, 000 cost * detachable camera for reversing to a trailer (not permanent) * Tinted windows * Sun blinds in rear 2 windows * Floor mats * Heavy duty boot liner tub style * Tyres have about 70% tread left * Rego until 31 August &apos; 15 Good reliable and honest mum&apos; s taxi. This is a beautiful little car! It may have a few Klm&apos; s on the clock but it does come with a full service history. . This car has been well looked after as you will see from the pictures and would make a lovely ladies car or a fist convertible car. Inspections and test drives are welcome as its a lovely car with everything working as new. 1965 FORD THUNDERBIRD COUPE 390 BIG BLOCK C10 AUTOMATIC 9 INCH RUNS AND DRIVES WELL EXTREMELY EASY WINTER RESTORATION OR DAILY DRIVER CURRENTLY CLUB REGISTRATION NON TRANFERRABLE. 1964 Chevy Bel air, RHD, four door with a strong 283 V8 engine with 3 speed powerglide transmission. The car is registered until October and drives great with new chrome smoothie wheels and white wall tyres. Car has many new parts including new radiator which allows the car to drive for long distances without overheating, new fuel pump, rebuilt carby, twin exhaust along the whole car. 2012 FORD FALCON FG MK 2 UTILITYVERY LOW KMS UNDER 14 000 KM FROM NEWTOW BAR PACKDARK BLUE IN COLOURWOULD SUIT NEW CAR BUYERSAVE $$$$ ON NEW MODEL6 SPEED AUTO195 KW OF POWER. 6 CYLINDER PETROL ONLY 4.O LITREREADY FOR WORK ORIGINAL TYRES NEAR NEW FROM FORDREGO TILL FEB 2016. Very Nice 1966 Mustang Shelby GT350 Tribute - LHD ! With the Aussie Dollar now trading well below 80 cents this a great opportunity to pick up this car at a great price. MAZDA 3 SP25 GREAT CAR FULL LUXURY , CAR GOT 10 MONTH REGISTRATION , FULL SERICE HISTORY , SELLING WITH RWC CERTIFICATE , CAR MUST SELL DUE GOING OVERSEASE , . 1963 MG MGB SPORTS ROADSTER, 4 SPEED MANUAL WITH ELECTRIC OVERDRIVE, RECO ENGINE (4000K), RECO FRONT END, RECO SUSPENSION, NEW BRAKES, WEBBER CONVERSION BY "THE HEALEY FACTORY", NEW CARPETS, NEW WINDSCREEN, NEW PAINT, ROLL BAR, CD PLAYER.COMES WITH 11 MONTHS REGISTRATION. CAR IS IN EXCELLENT. Pebel Nap Sac is an inspired solution to the notoriously uncomfortable baby cot sheets. Our portacot matress and bedding all in one solution is lightweight, and quick and easy to assemble. Pebel Nap Sac makes travelling with your baby hassle free and enjoyable, because your baby will sleep better. Shop now for an easy, durable & quick portacot bedding solution. Aesthetic Laser Centre is a leading laser treatment and skin care treatment clinic in Hobart with professionals having 32+ years of experience in the industry. Stop worrying about hair loss. Visit us today for skin rejuvenation clinic, hair transplant and all your skin care treatment needs.For more details please visit us http://aesthetic-centre. Aesthetic Laser Centre is a leading laser treatment and skin care treatment clinic in Hobart with professionals having 32+ years of experience in the industry. Our aim is to provide the absolute best quality of care for laser skin treatments. Visit us today for all your skin care treatment needs.For more details please visit us http://aesthetic-centre. The New Karmin Salon Series Professional Hair Dryer provides superior power, faster, healthier styling and flawless results in an ultralight design unlike any other. 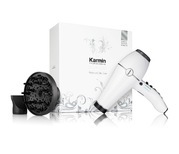 Specifically designed to prevent damage and dry out, the Karmin Salon Series Hair Dryer features an Electronic Ion Generator which works to generate over 300 million negative ions reducing drying time by 75% while adding brilliant shine and leaving hair feeling smooth and soft. Hobart ads Hobart, All categories classifieds Hobart, All categories free ads Hobart, ads for sale Hobart, ads to buy Hobart, FREEADSAustralia Hobart Page number 8-1. Find here ads for sale, to buy and rent in Hobart. Goods for sale in Hobart, vehicles for sale in Hobart, Hobart real estate for sale, Hobart property for sale, property for rent in Hobart, business ads in Hobart, Hobart business classifieds, services in Hobart, Hobart services ads, jobs in Hobart, pets for sale in Hobart, Hobart dating, Hobart cars for sale.